In the days before photocopiers, getting hold of an offprint from the author was a useful way of getting a copy of the text, tables, images and formulae of a scientific article without having to copy it by hand from a library volume. The ways in which offprints circulated – whether requested by authors in locations where the journal was not available, or distributed strategically by the author to people s/he wanted to impress – is an intriguing element of the sociology of scientific communication. The history of offprints also illustrates the long history of out-of-commerce circulation of scientific knowledge. Even when the issues, parts or volumes of the published journal were available for public sale, authors could send their private supply of offprints to colleagues, friends and potential sponsors. This long tradition still holds true in the digital world, when printed copies have been replaced by PDFs, but most publishers will still supply authors with a PDF for circulation through their networks. As well as providing an out-of-commerce route for circulation, offprints also (in certain historical periods) provided a route for more rapid circulation. They were originally available more quickly than the collated issues or bound volumes of the journal in which the article formally appeared. In this post, we will discuss what the Royal Society’s archive can reveal about the history of offprints. The rising costs of publishing the Philosophical Transactions was causing considerable anxiety at the Royal Society. In 1895, the Senior Secretary, physicist Lord Rayleigh (John Strutt) took steps to increase the Society’s capacity to finance its publication. He wrote to Her Majesty’s Treasurer describing ‘the financial difficulties attending the adequate publication of scientific papers’. Scientific journals and their publishers were finding it almost impossible to be commercially successful. There was limited readership owing to the specialization of science, which meant that readers were unlikely to buy publications, like the Philosophical Transactions, covering the whole of science. The cost of illustrations was also very high, but Rayleigh considered them essential for effective scientific communication. The Society had struggled so much that in some cases it had even rejected papers despite them being worthy of publication. It was not only the Royal Society that was struggling to meet costs, but all scientific publishers, including learned societies, specialist societies, and even commercial publishers. Learned societies bore much of the burden so Rayleigh proposed a grant of £2000 or £1000 annually to aid not only the Royal Society’s activities but those of other societies. A grant of £1000 was given, and the Society began to administer it to needy Societies and publications, as well as using it on its own publications. In 1925 H. M. Treasurer asked the Society to receive an increased grant of £2500 annually, administering it to other Societies in need. The Society agreed, becoming a tool for the government’s support of scientific publishing. The fact that the Society had to request a grant for publishing was a reflection of its financial model at this time. Rayleigh’s request was the consequence of a wider ethos of free circulation, which meant that the Society rarely made money on its publications. Every Fellow received a free copy of the journal, and authors received upwards of 100 copies of their papers. Exchange and gift lists also meant many institutions throughout the world had copies of the Society’s publications. Rayleigh wanted to maintain this generous, and even philanthropic, approach to science publishing, but the Society was struggling to do this without assistance. The grant also marked a new role for the Society: by administering the grant to other societies for their publications it meant that the Society was aiding a non-commercial approach to British learned society publishing. This atmosphere of generosity would eventually shift, but not until the late twentieth century. Source: CMP/7, 20 June 1895, p. 179-183, Royal Society Archives. 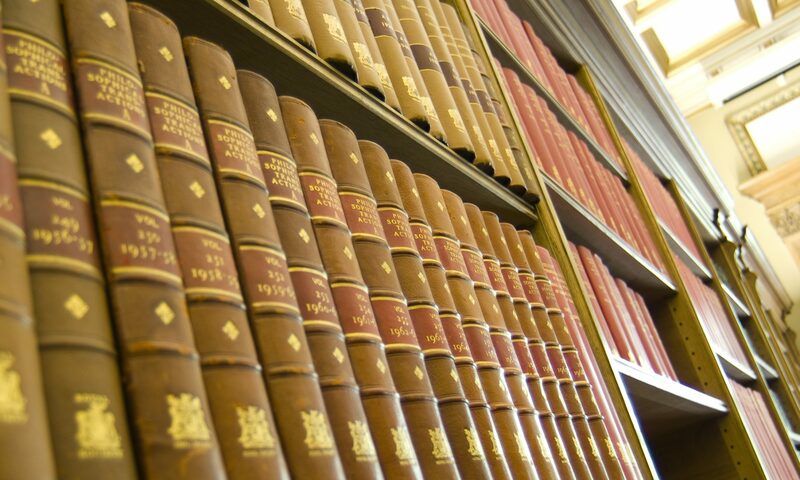 Before 1875, if one wanted to buy the Royal Society’s Philosophical Transactions, it was available as bound volumes, but only when all papers for the current volume were printed – which took several months. Authors received separate copies of their papers that were available shortly after a paper was passed for printing by the Committee of Papers. These copies, however, were generally circulated amongst authors’ close acquaintances only, thus meaning anyone else who wanted to read a Transactions paper had to wait for the full volume to be published, which could take several months. In 1875, the Society trialled a new scheme with the London based bookseller, Trübner. Separate copies of the Transactions would be sold through the book trade. The significance of the trial was that it marked a change in the dissemination of scientific papers. The bound volume was no longer the main product. In reality, however, the financial results were not exceptional; in fact, Trübner reported in 1883 that no more than ten copies would be needed of future papers. This was not a great surprise or concern to the Society, which at this time valued the free circulation of scientific papers over generating income from sales. (On Trübner (later part of Kegan Paul), see L. Howsam, Kegan Paul, a Victorian Imprint: publishers, books and cultural history (Toronto: University of Toronto Press and Kegan Paul International, 1999)).